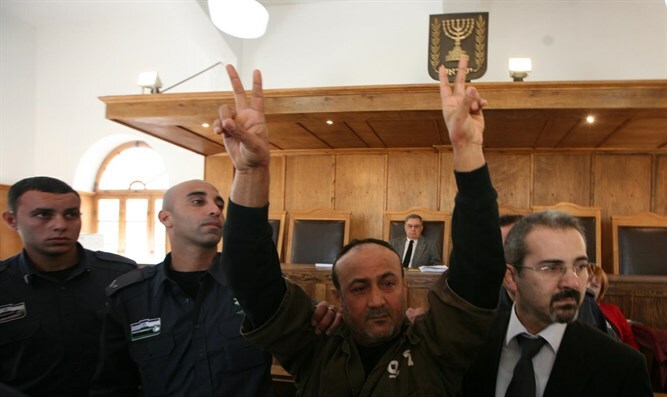 PA terrorist salaries rise according to severity of attack: Barghouti, for example, expected to earn millions, even if released prematurely. The Defense Ministry revealed the figures for terrorist salaries paid out by the Palestinian Authority during 2017. 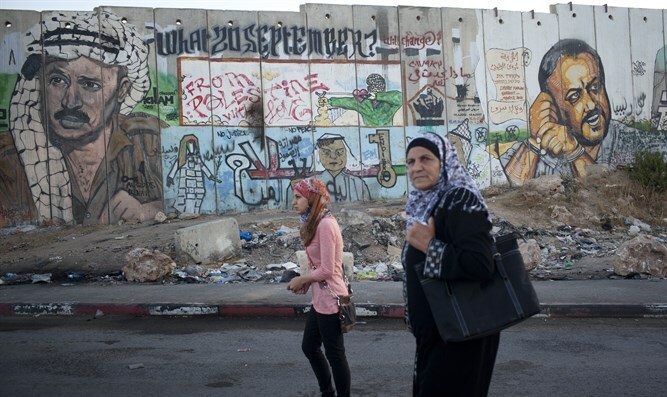 According to the data, imprisoned and released terrorists received more than NIS 550 million. Families of suicide bombers and wounded received about NIS 687 million from the PA coffers. The amounts constitute 7% of the Authority's budget. As Israeli government ministers have argued, the absurdity of these payments is augmented by the fact that the more severely a terrorist is punished, the more money he or his family will receive. A terrorist sentenced to three to five years' imprisonment receives NIS 2,000 a month. Terrorists sentenced to 20-35 years of imprisonment receive NIS 12,000-12,000 a month. The amount is paid for their entire lives. The newspaper Yediot Ahronot notes that apart from these sums, a married terrorist receives an additional NIS 300 a month. If he has children he will receive an additional NIS 50 per person. A special payment goes to terrorists who are Israeli citizens: Terrorists from East Jerusalem receive an additional NIS 300 a month, while Israeli citizens receive an additional NIS 500 each month. The paper notes that according to the Memorandum of Prevention of Payment to Terrorist Operatives and their Families by the Palestinian Authority, at the end of each year the Defense Minister will submit to the Security Cabinet a report summarizing PA annual payment to terrorist operatives. According to the report, the same amount will be deducted from the funds transferred to the PA by the Israeli government. The newspaper also notes that "among terrorists enjoying generous salaries are some of the most dangerous arch-terrorists, such as Hamas member Abdallah Barghouti, who is responsible for the murderous terrorist attacks at Sbarro, Cafe Moment, Sheffield Club in Rishon le-Zion, Allenby Street in Tel Aviv, and the University of Mount Scopus. He caused the murder of 66 Israelis and the wounding of 500. He was arrested in March 2003 and sentenced to 67 life sentences, earning about NIS 700,000 and an average monthly wage of NIS 6,000, which will only continue to improve for each year he spends behind the bars. His cumulative salary (if he reaches the age of 80) is expected to reach NIS 5,440,000. "Imprisoned Fatah leader Marwan Barghouti is responsible for the murder of five Israelis and for involvement in 21 terrorist attacks. He was sentenced to five life sentences and 40 years in prison. So far he has earned about NIS 800,000 and enjoys a monthly salary of NIS 6,000. His cumulative future salary is expected to reach NIS 3,800,000. If he is released ahead of time, he will continue to receive wages according to the Authority's salary scales. In addition, the two murderers of the Fogel family from Itamar and the three terrorists from the Sarona attack are expected to receive from the Abbas administration more than NIS 5.5 million each during their lifetime."